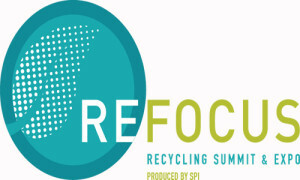 SPI: The Plastics Industry Trade Association announced session topics for two key tracks – the Recycling Technology and Engineering Educational Tracks – that are part of a larger summit agenda that will be offered at the first-ever Re|focus Recycling Summit & Expo. – the latest advances in plastics recycling. The Engineering Educational Track is sponsored by the Society of Plastics Engineers’ (SPE) Sustainability Division and will address key challenges that processors and brand owners might face in incorporating greater use of recycled content, and better designing products for recycling. Presenters include Steve Alexander, Executive Director of the Association of Postconsumer Plastic Recyclers (APR); Scott Steele, President of Plastic Technologies, Inc. and Lukas Bartek, Manager of New Business Development at DuPont EMEA. In addition to these educational offerings, Re|focus will also have programs focusing on Regulation & Compliance, Sustainability & Global Trends, Industry Focus, which will provide recycling insights specific to the automotive, packaging, medical and building & construction industries, and Supply Chain Management. 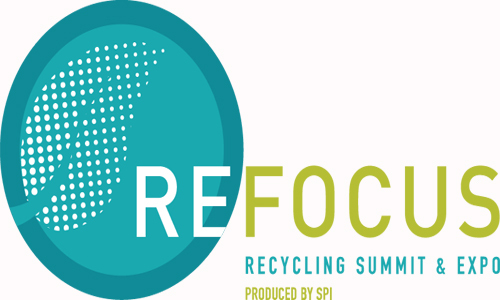 The inaugural Re|focus Recycling Summit & Expo is scheduled for April 25-27, 2016 in Orlando, the US.